The Ushahidi Haiti Project (UHP) was a temporary organization that was started with a specific purpose – to transfer the knowledge and experience of the Ushahidi deployment in response to the 2011 earthquake to local actors in order to ensure sustainability. We recently made a small grant with our last remaining funds to a local radio station in Haiti, Radio Boukman. Why? A year and half ago we started UHP hoping that we could really achieve some of these over-used buzz words – transferring knowledge, building capacity, working with local partners. We undertook multiple actions to achieve this aim. First, we commissioned a full, independent evaluation of the deployment (which can be read here). Second, we sent several rockstars – Roz Sewell, Rob Baker, Sabina Carlson and Nona Lambert – to Haiti to work with a local company, Solutions, to improve the Noula.ht platform, a platform which visualizes information in a similar manner to Ushahidi. Sabina and Nona were able to connect Noula to strong partners, including IOM*, and to help to hire local project managers. This was meant to be the final action of organization known as UHP. And then a rare discovery – we found a bit of leftover funding that was allocated to the evaluation but that was not necessary because our lead evaluator, Nancy Mock, graciously did her field research while on an unrelated trip to Haiti. The small amount of money would mean very little to a typical organization. So we found the exception. Radio Boukman is nothing short of absolutely awesome. It is a small radio station in Cite Soleil, the notorious slum in Port-au-Prince which is now a thriving community full of creativity (Sabina is living there now, devoting her life to promoting a more positive image of the neighborhood which is still considered a “red zone” and off limits to most aid workers.) The radio station is managed and staffed by bright, young Haitians who are working through their own initiative to bring more information to the people in their community on issues from cholera to hurricane preparedness to youth soccer games. Radio Boukman fits neatly into the mission of UHP. They work closely with Noula, promoting the shortcode 177 to report various problems to be displayed on the map. Citizens receive information and can respond by calling into the radio station or texting into Noula. The small sum of money will help Boukman expand their coverage area to most of Port-au-Prince. In this way, our final grant supports the very original reason that UHP was started, which was to involve the citizens of Haiti in their own reconstruction by providing information and ways for local voices to be heard. I have no doubt that Radio Boukman will continue to support this core idea for many years to come. 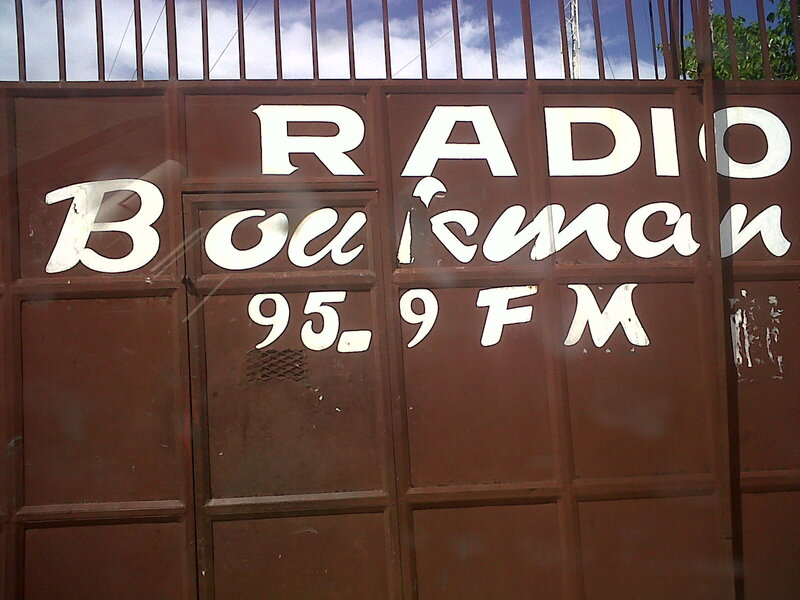 For more information on Radio Boukman’s projects, visit Citizen Haiti. *Note that IOM in Haiti is still supporting both Noula and Radio Boukman today through their Communications office.